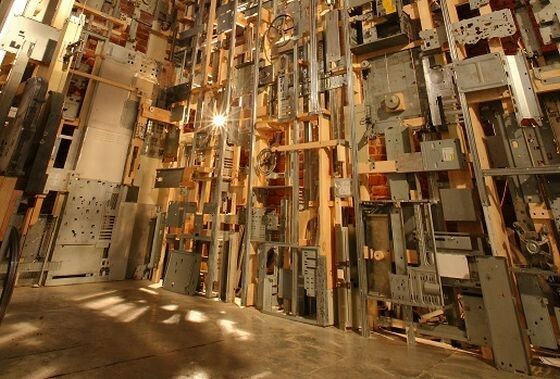 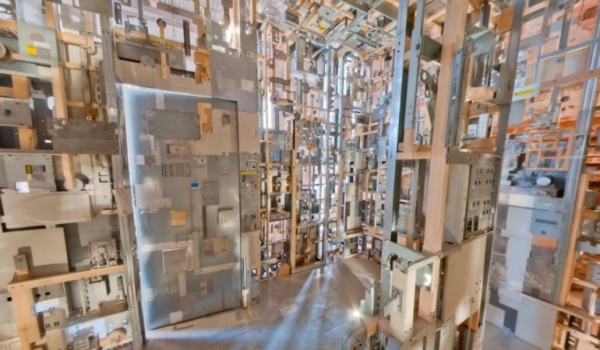 The Polish sculptor Marek Tomasik just created this massive, rectangular, walk-in sculpture its made up from several thousand discarded computer parts. 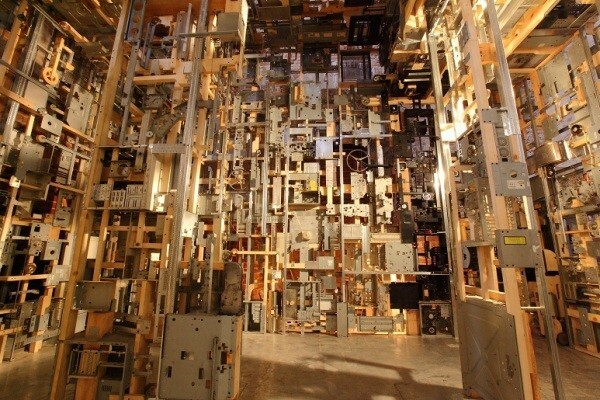 The piece is called, “Sometimes You Have To Be Open.” This can be found in a 14th-century castle in the town of Swiecie, Poland. 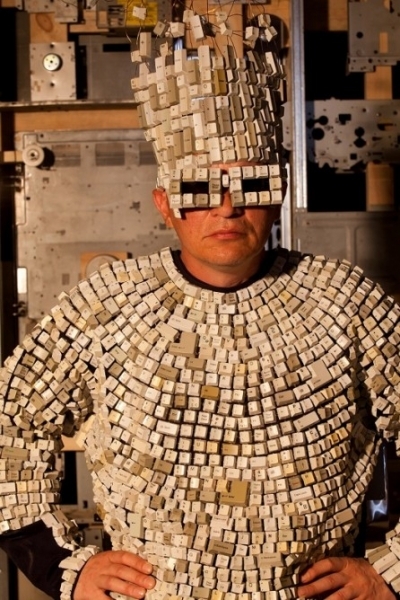 It stands at 16′ x 14′ x 15′, and as Tomasik says, “walk in, close the door and feel it.” He also has a costume, made entirety from discarded keyboard keys probably from searching in all junkyards to get his sculpture pieces.